One of the joys of the fall season – and there are many – is the opportunity to tailor your home decor to the season at hand. It’s time to jettison those airy summer shades and make your apartment pop with autumn hues! 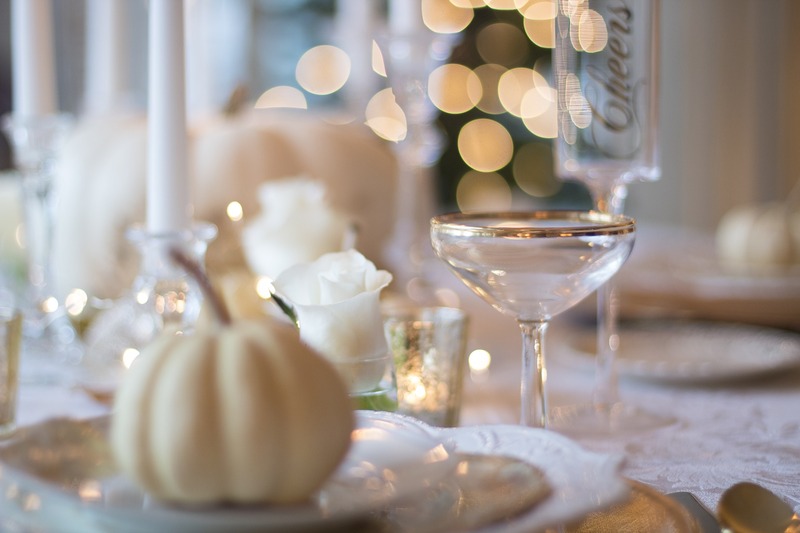 Here are ten decorating tips that are sure to wow your guests this season. 1. Colors, colors, colors: nothing says “fall” like yellow, orange, and red. All of the vibrancy in the trees can translate well into your living space. So, swap out your couch pillows, change your bath towels and add a comfy quilt imbued with fall flavor. Remember, the mood inside should match the mood outside. 2. Consider the coming change in temperature and plan accordingly. This means heavy pillows and plenty of blankets. It’s a good idea to drape these items over your couches and chairs so whoever sits in them will stay warm, cozy, and comfortable. There are a ton of options when it comes to autumn-themed comfort, as you can see here. 3. It’s all about the pumpkins. We don’t just mean the delicious pumpkin-flavored items that monopolize coffee shops this time of year; use actual pumpkins to add to your apartment’s decor. Carve them for Halloween or try painting them. Grab a free lesson in pumpkin painting here; we especially like the ones made to look like candy corns! Pumpkins and autumn are synonymous, so your seasonal makeover wouldn’t be complete without at least one or two well-placed pumpkins in your home. 4. Don’t forget the leaves! After the lush greenery of summer and preceding the barren emptiness of winter are the richly-colored leaves of fall. While they will be coating the ground outside, there is no reason you can’t bottle up that luminosity and bring it indoors! Using leaves artistically can be great fun, especially if you have kids. Pick up some great tips for leaf art here and here, then decide where your creation fits best in your apartment! 5. You may not be aware of this, but burlap is apparently the preferred fabric of fall, and for you do-it-yourselfers (is that a word?) there are tons of ways to put this rugged material to work in sprucing up your apartment home decor this autumn! Plus, burlap pillow slipcovers look gorgeous in the living room. 6. You don’t have to wait until Christmas to adorn your front door with a wreath. Make sure your wreath game is on point early by hanging one for the fall. Make one yourself or purchase a ready-made wreath from your local craft or home goods store. We’re not sure what your preferred mode of wreath-hanging is, so here are dozens of different ways to go about it! 7. Fill your vases with some fall-centric flowers. Just because summer is over doesn’t mean you horticulture enthusiasts are out of luck; you just have to adjust your taste to the season at hand! HGTV suggests sunflowers and Alstroemeria as the best fall flowers that will maintain long-lasting beauty indoors, while mums, daisies, roses, and Hypericum are also popular this time of year. Mix and match to create a gorgeous bouquet for your apartment. You can find plenty more ideas for fall flowers on Pinterest. 8. What is it about the fall that screams “make a centerpiece!” There are hundreds of ideas when it comes to constructing one of your own. For example, they can be edible like this one with strawberries!, or candy-based (back to candy corns). Other ideas include using fall flowers or even empty beer bottles! 9. It’s not too early to start decorating for Halloween, either. Play up the spooky ambiance, maybe with ghosts hanging from the ceiling or (back to pumpkins) an expertly carved Jack-O-Lantern leering from a corner. There is an endless amount of options to choose from to build the ghoulish decor in your apartment. 10. Lastly, make sure to utilize your shelves and any mantle spaces you may have in your apartment home. We know space can be an issue in an apartment, but it can be overcome through your creativity! Go to your local craft store and stock up on any number of fall-related items and spend an afternoon arranging them to your heart’s content. Then step back and admire the aesthetically pleasing autumn medley you have made! So, what are you waiting for? 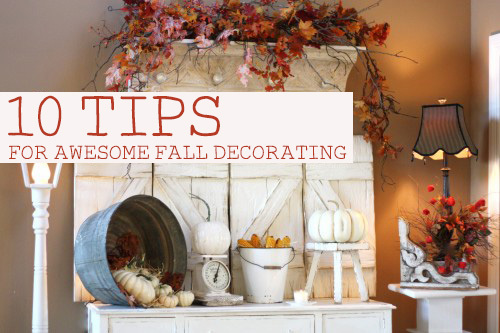 Go get started on sprucing up your home for the fall season (especially before the dreaded winter starts to roll in). This is an excellent time of year for activities, creativity, and fun, all of which can be rolled into your decorating efforts. Enjoy!